For visiting our new website there are a limited amount of discount coupons for the High Peak Wilderness First Aid 16hr courses. By attending this course you receive a first aid certificate specifically for outdoor activities. You also receive the Emergency First Aid at Work 6hr certification at no extra cost. This EFAW also includes the use of haemostatic dressings, crush injuries, heat and cold related disorders and Lyme disease which is benefits those working in remote environments. The course also includes instruction in the use of an Automated External Defibrillator to enable you to feel confident to use an AED if the need arose in a public place or at your place of work. High Peak First Aid also sells AED’s and spares: these can be seen in the online shop that will go live this week. By attending a course with us you will also have access to discounted first aid supplies and receive our robust, waterproof wilderness first aid book and casualty card. 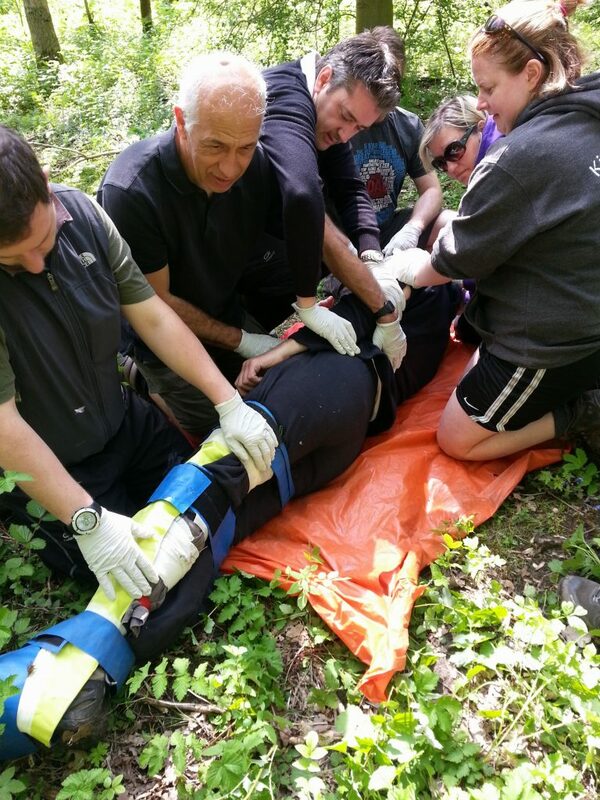 Most of our courses now have trained casualties to enable you to have more time to practise. The casualties are medical students or from an amateur dramatics society to make the scenarios as realistic as possible: feedback so far has been very positive. If you have recently booked on a course then we have discount coupons for the first aid shop that we can email to you. The coupon code is: hpfa16web The discount coupon can be used by clicking on this link. Select the course date, go to the checkout and add your coupon. There are limited coupons available and they expire on September 30th 2015 and can be used for any course in the future: dates are up for 2016 and at eight courses a month, mid week and every weekend there are plenty of choices. If these coupons are used, then try our Facebook page here.